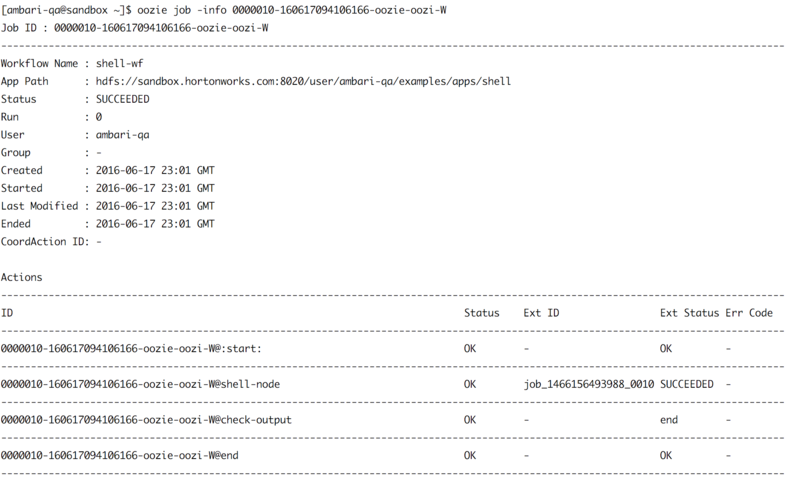 Oozie is the de facto scheduler for Hadoop, bundled in the main Hadoop distributions. Its key concepts could be not so easy to get, so let’s do our first Oozie workflow. 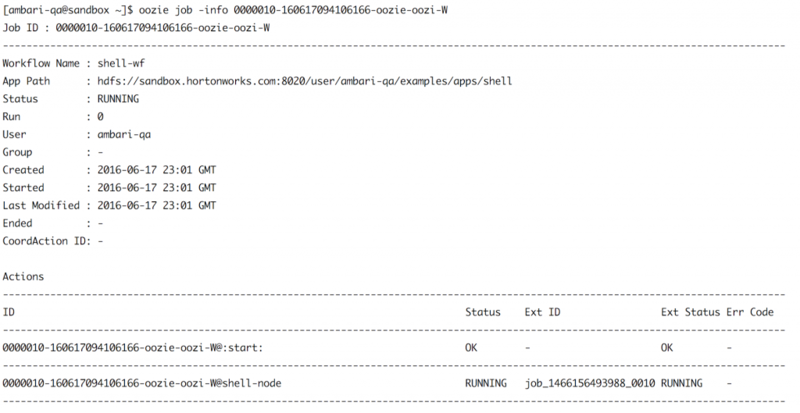 You only have to consider that you’ll have Oozie clients submitting workflows to Oozie server. We’ll submit our first workflow, a shell action example, but first we have to modify some parameters in the job.properties file. The 2 main (and mandatory) files are job.properties and workflow.xml : the former including parameters, the latter the definition itself. The nameNode goes from hdfs://localhost:8020 to hdfs://sandbox.hortonworks.com:8020, the other parameters doesn’t need any change. Now let’s run that job ! I followed your tutorial but I get error JA006. It stays in running state with the JA006 error code. How can I fix that? I started my history server but still I get the same error. I am using hdfs 2.7.1.2.3 and oozie 4.2.0.2.3.